TUI Travel's sports division - which includes Sportsworld - will not be impacted by its parent company's £117m accounting discrepancies, according to representatives. TUI Travel’s chief financial officer Paul Bowtell has resigned in the wake of a series of financial discrepancies that have left a £117m hole in its accounts. Bowtell’s resignation follows that of David Taylor, the finance director of the main TUI UK business, where the accounting inconsistencies were found. The situation arose after an audit by KPMG found there were disparities in the accounts. The issue first started in 2007, when the company was created from a merger of First Choice Holidays and the tourism divison of TUI, the owner of the Thomson and Lunn Poly brands. TUI used two separate computer systems, one to make bookings for customers, the other to process data from tour operators. Discrepancies arose when discounts offered to customers were not recorded on the tour operator system. Bowtell’s resignation has sent shares in the travel group plummeting by 11% - from 230p to 205p. 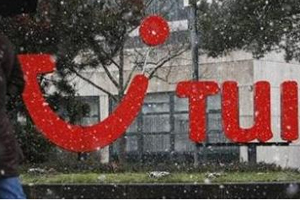 TUI Travel chief executive Peter Long said: "It is now clear that at the time of merger there were weaknesses in the legacy systems we chose to use in the TUI UK business." A TUI Travel – sports division spokesman said: "This has no cash impact, minimal impact on the current year and no impact on future performance. It is an isolated accounting adjustment."